I have just discovered the speediest mid-week supper I have ever encountered. Ok, I may be exaggerating a little but a meal ready to be served up in about 12 minutes surely deserves a round of applause – that’s faster than even Mr Oliver’s 15 minute meals! In fact, I spent longer looking for one of the ingredients than I did cooking it. 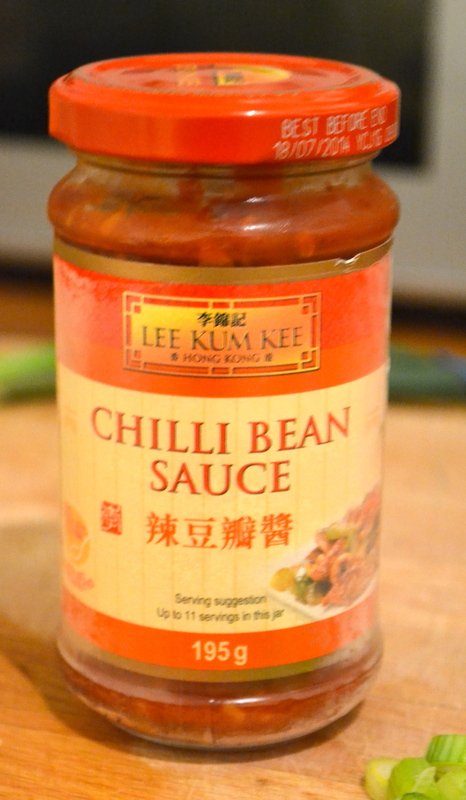 The elusive chilli bean sauce. Who knew that existed? Well, probably most of the population of China and any cook worth their apron, but not me. Sainsbury’s failed me. Asda failed me. Even Ocado even failed me. Finally Waitrose came up trumps and allowed me to step towards this speedy Sichuan supper. The recipe has been around for some time so I am clearly rather behind the curve on this one. But on the off-chance you are as behind as I am, I felt I had to share this with you immediately to revolutionise your mid-week meal times. My knowledge of Chinese cooking is pretty limited and embarrassingly probably only extends as far as my local Chinese restaurant’s take away menu. But apparently Sichuan cuisine can sometimes be overly sweet and sickly. 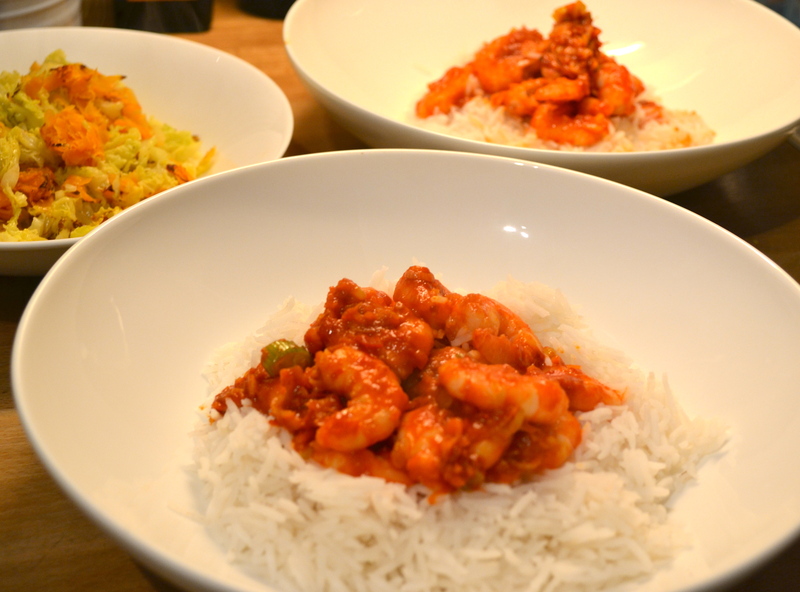 This recipe for Sichaun Prawns in Chilli Sauce by Ken Hom is most definitely not, however so don’t let that put you off. Lots of ginger and chilli give it a great heat with hints of sesame and a little sharpness from the vinegar. 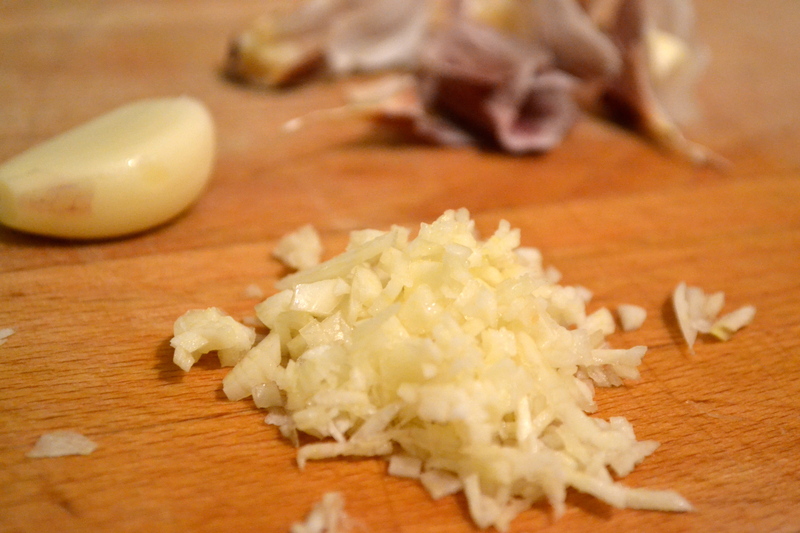 It truly is scrummy and so much easier, quicker and cheaper than heading to your local takeaway for dinner! Heat the oil in a wok or large frying pan over a high heat until very hot and slightly smoking. 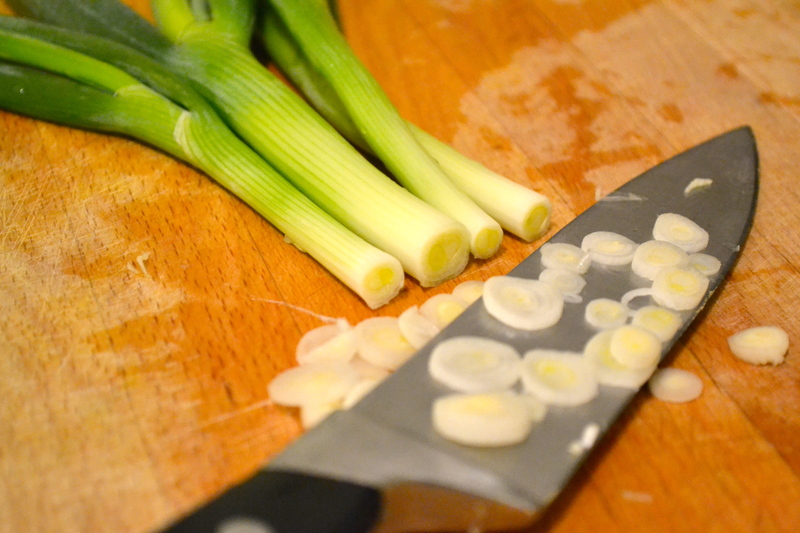 Add the ginger, garlic and spring onions, stir fry for 20 seconds. 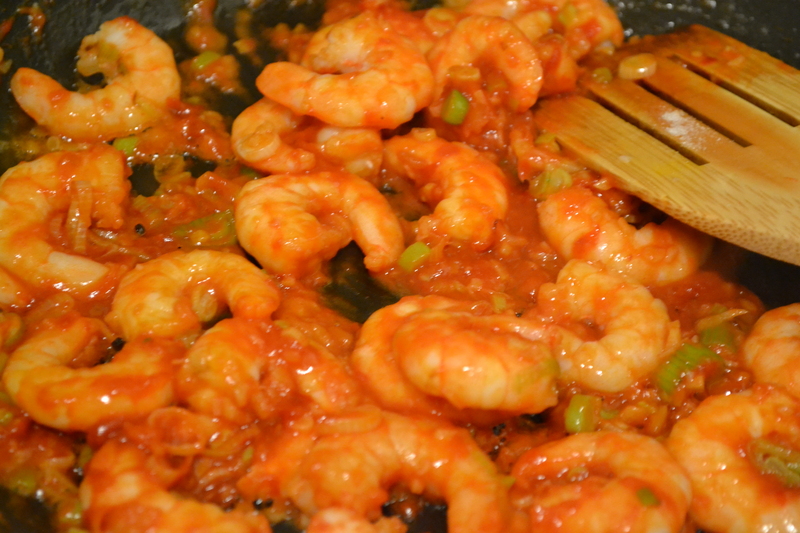 Add the prawns and cook for about 1 minute. Add the remaining ingredients and continue to stir-fry for 3-5 minutes, adding salt and pepper to taste. I also served this with shredded carrot and savoy cabbage, stir-fried for about 5 minutes in some sesame oil. looks great! tesco (the large ones) have a great Asian section and otherwise there’s always trusty Chinatown!